Important details about the site from the administrators. Treatment and Training Conferences for students & pain sufferers. Get 2 weeks of intensive treatment for your pain from expert therapists or train to become one. If you are having success with the Self Treat Program or other advice please let us know. Ask questions about the self treatment program. Transferred to this forum thread. Post if you need back pain relief help. Other Information you want to share. Information to help you with your Back Pain issues. Post information about your back pain not covered elsewhere. Post information about your low back pain here. Post information about your upper back pain here. 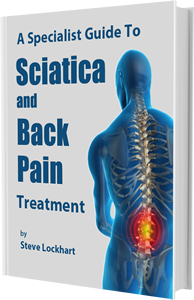 Post information about your sciatica here. Post your information about disc bulge or herniation.